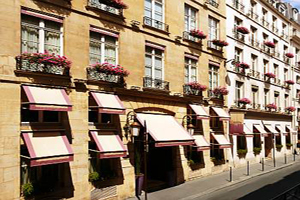 The Castille Paris hotel, part of Starhotels Collezione, has completed an extensive five-year renovation programme. The last phase includes the redesign of 40 rooms in the refurbished 108-room property. Located on the Rue de Cambon, between Place Vendome and Place de la Concorde, the hotel has two meeting rooms, catering for up to 50 while L’Assagio Restaurant can accommodate up to 130 for a reception or up to 50 guests for a corporate banquet.